Brenda Pandos - Young Adult/New Adult Paranormal Romance Author: Fools for Books Hop! I'm participating in another hop! 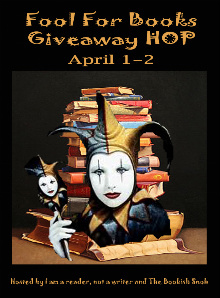 The Fool for Books Giveaway Hop is April 1-2. Over 200 participating blogs are offering a book related giveaway and we are all linked up together so you can easily hop from one giveaway to another. 1 copy of my book, The Emerald Talisman with a bookmark. Contest over -- Winner announced soon! Thanks for the giveaway!! If I win, I would love for you to sign it!! I love to hear from my readers! Feel free to comment! Subscribe to get articles of this blog!